"This is a nutritarian-friendly recipe. My kids inhaled it and asked for seconds. I used apricot balsamic vinegar, which is a little sweet. It should work with other types vinegar as well." 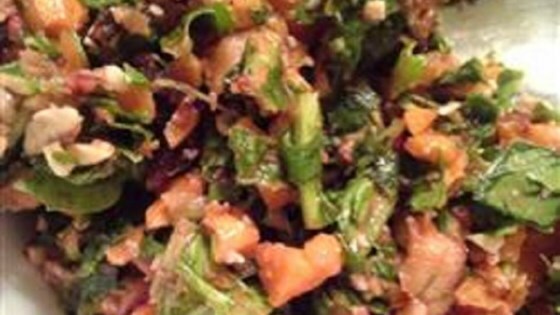 Toss collard greens and carrots together in a bowl. Combine cashews, raspberries, cranberries, and balsamic vinegar in a food processor; pulse until finely chopped. Add cashew mixture to collard green mixture and toss.